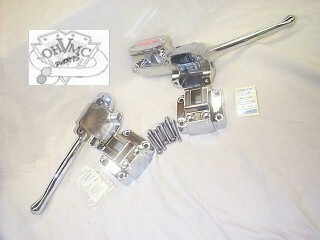 Includes chrome switch housings, clutch lever bracket and lever, 3/4" bore master cylinder and lever. This configuration was used to operates both single and dual disc systems of this time period. You may select a matching complete 48" long handlebar wiring harness and or DOT 5 brake fluid for your project from the option menu below.